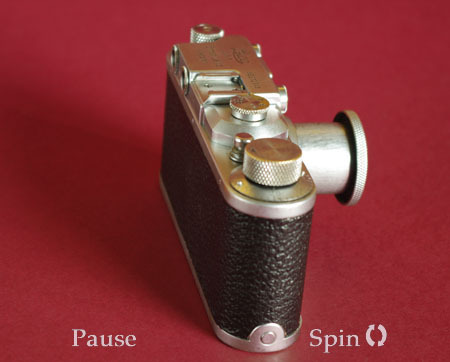 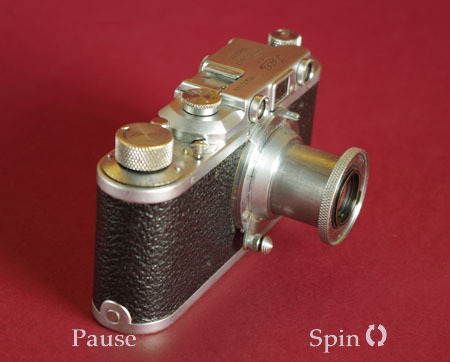 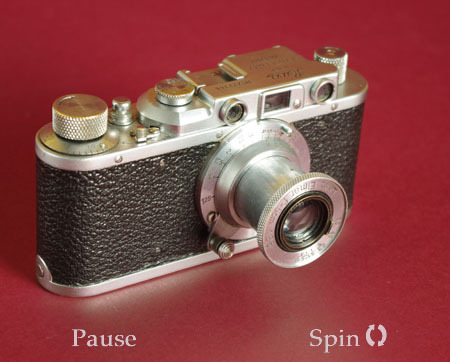 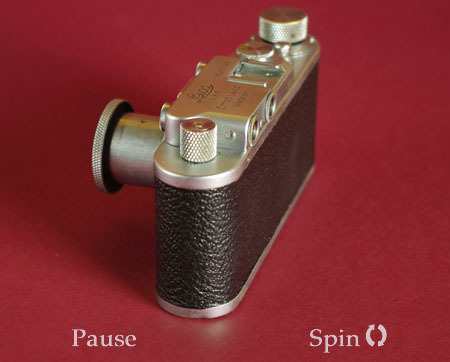 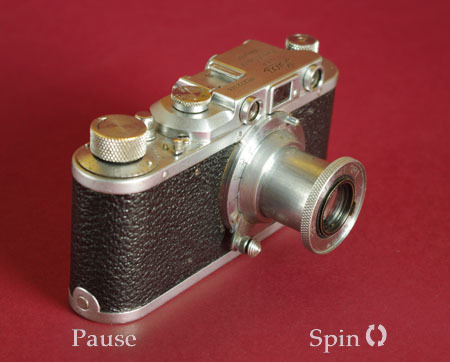 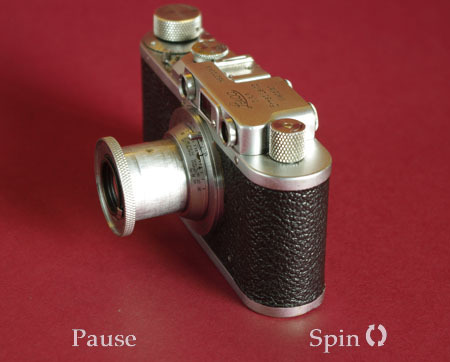 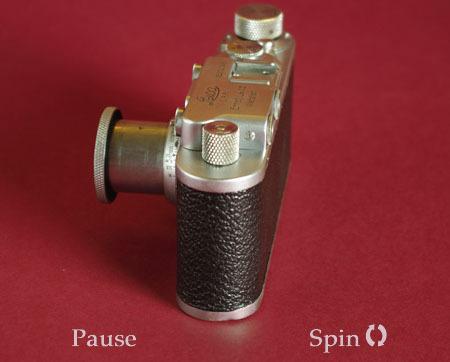 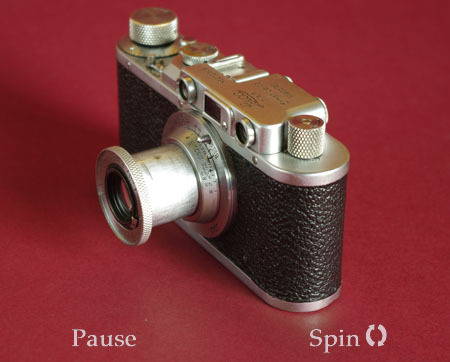 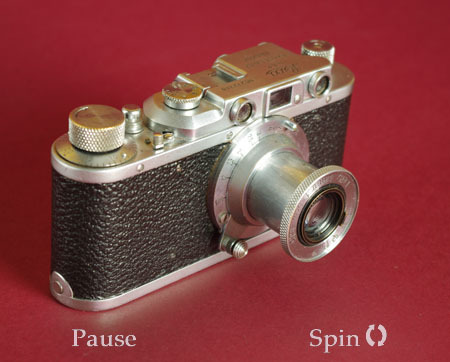 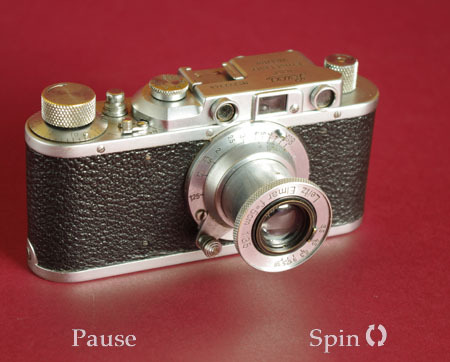 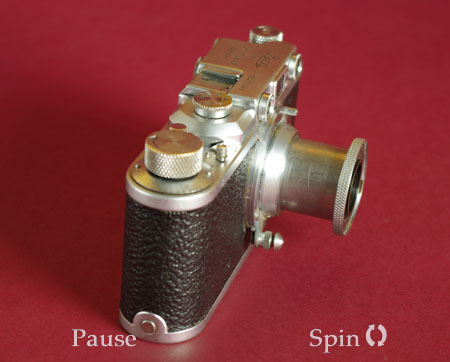 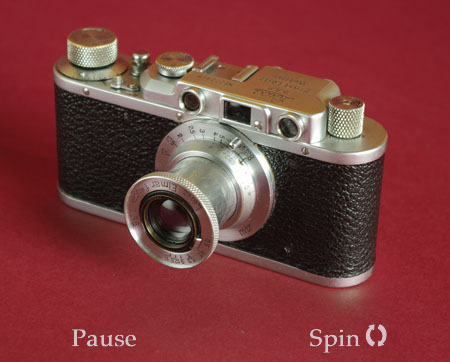 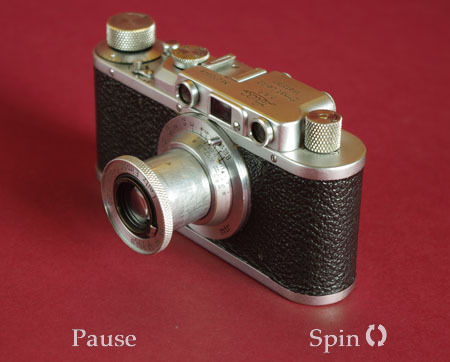 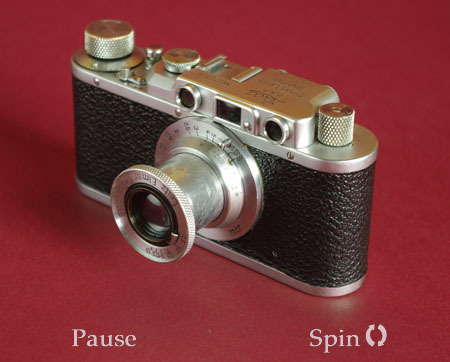 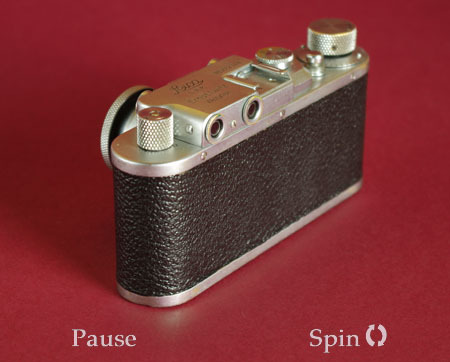 Leica II, vintage camera - all round view at 10° intervals. 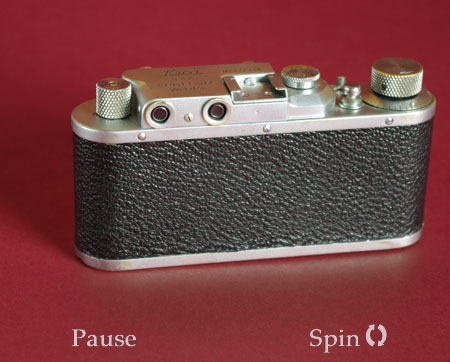 This important camera has influenced the styling of countless other cameras since it arrived, many virtually clones or perhaps more importantly the thousands of designs that copied the black body and satin chromed top housing. 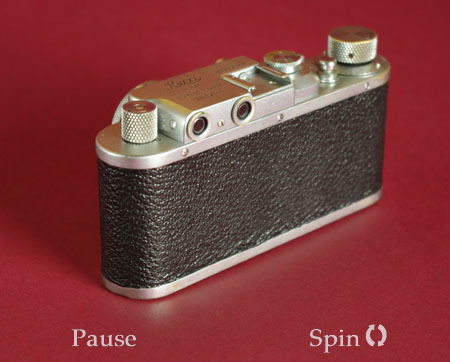 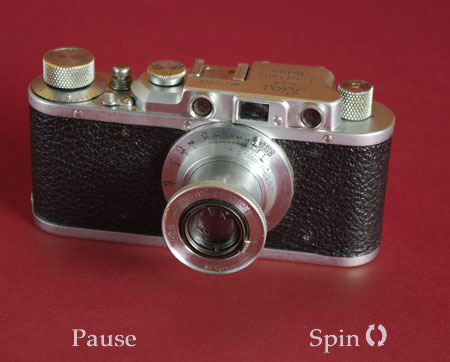 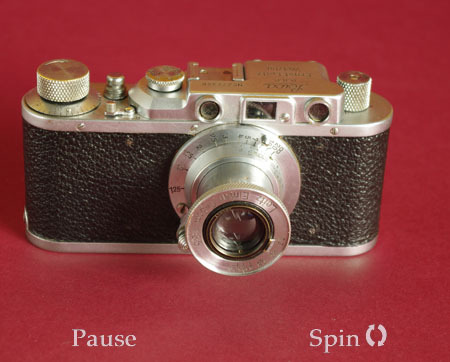 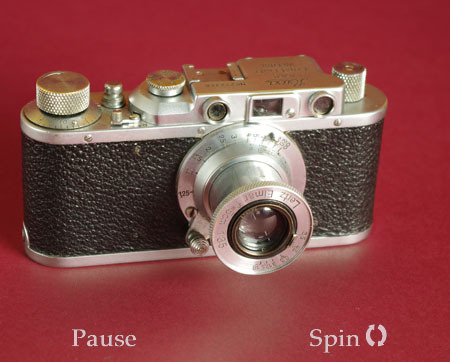 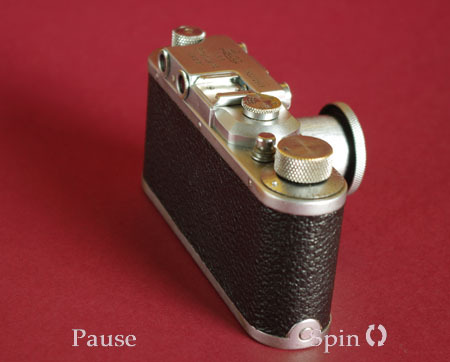 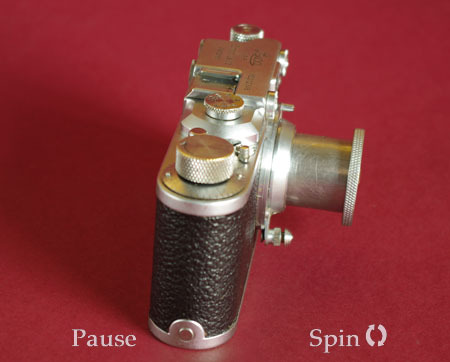 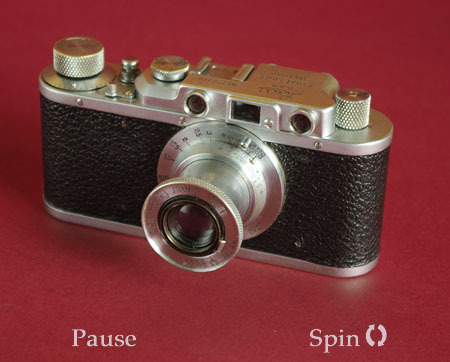 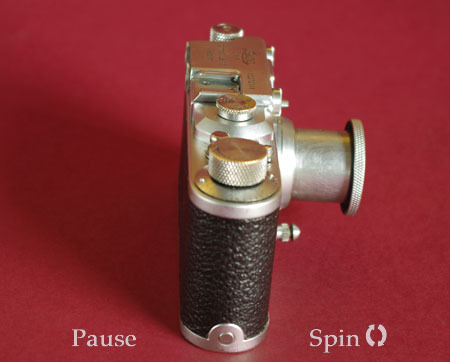 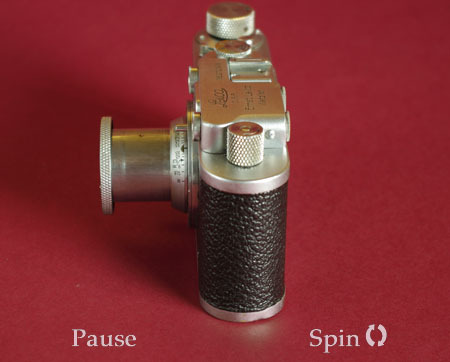 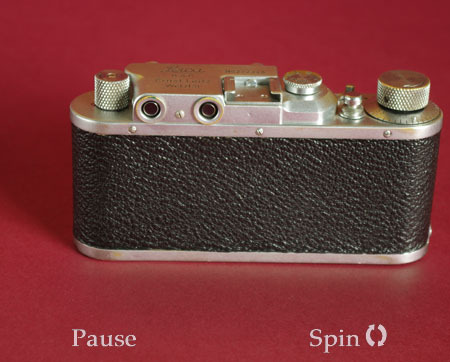 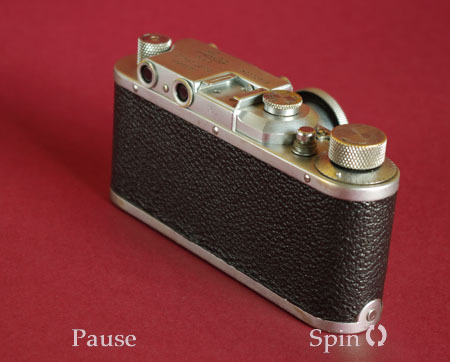 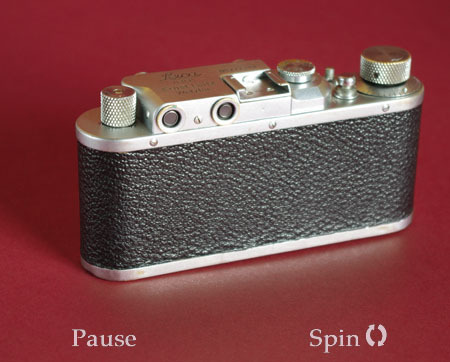 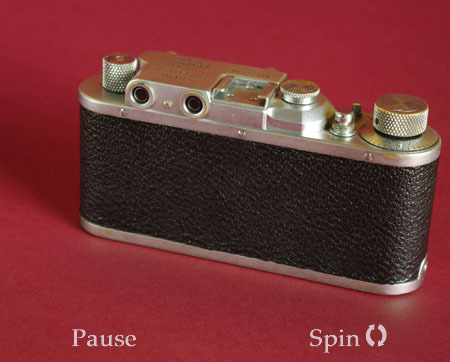 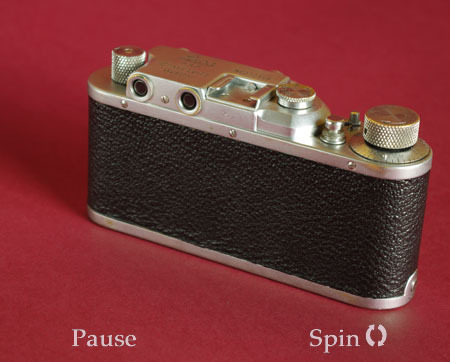 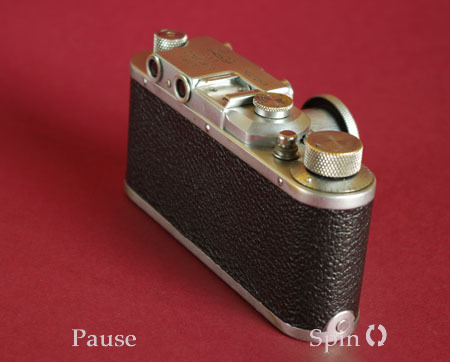 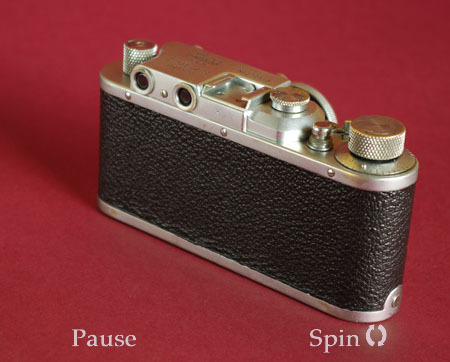 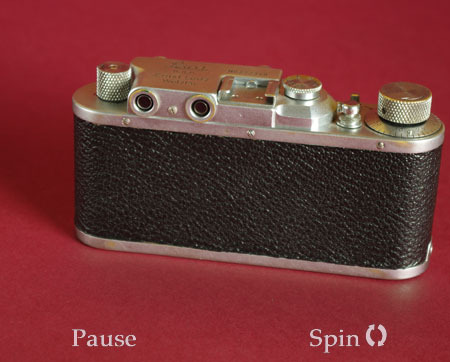 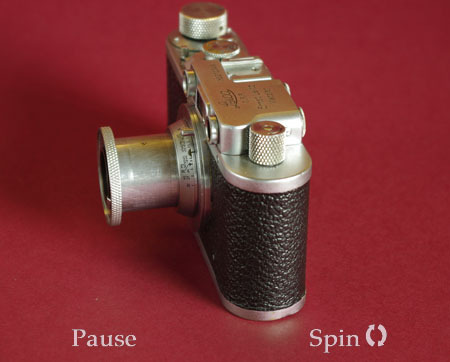 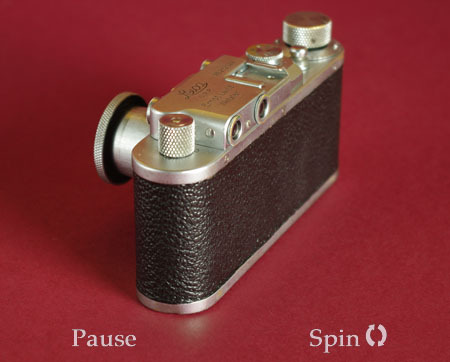 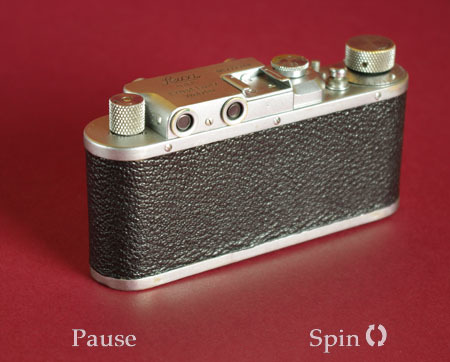 If you visit the Era Rooms of the web site and run through them in sequence, you will see that the first Leica popularises this styling from the 1930s - and that it predominated for 40 years thereafter, a remarkable longevity.